Even up close with the Statue Of Liberty. 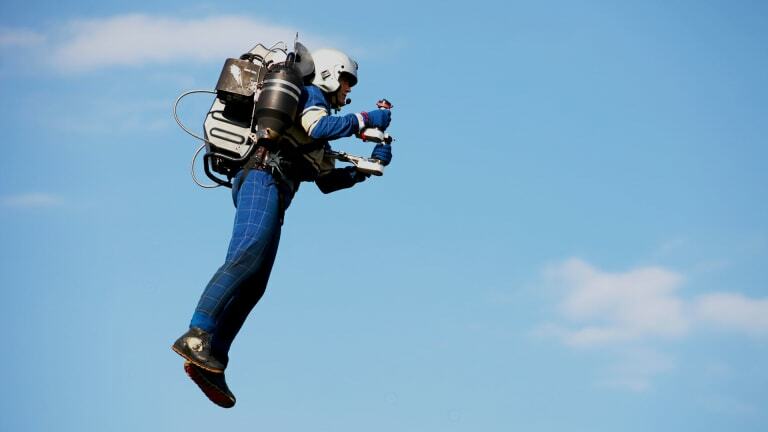 JetPack Aviation is an upstart dead set on creating the world's most impressive consumer-ready jetpacks. Here's a test run they did around New York City that will blow your mind with the possibilities of casually owning one of these and making your childhood self weep tears of happiness.